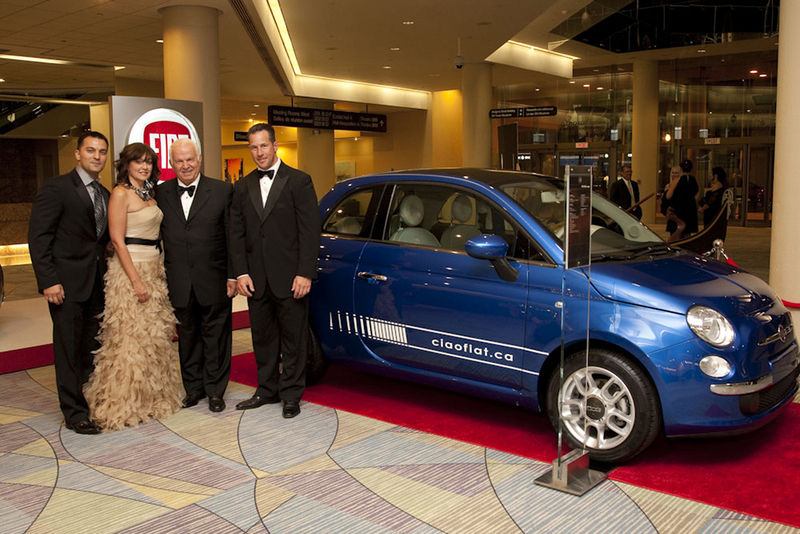 October 17, 2010, Chrysler Canada donated Canada's first Fiat 500 to the live auction at Toronto's 17th annual Venetian Ball. The ball was held at the Metro Toronto Convention Centre with all proceeds benefiting Villa Charities. "Chrysler Canada and Fiat are proud to donate Canada's very first Fiat 500 to support Villa Charities," said Reid Bigland, Chrysler Canada President and CEO. Since its formation in 1971 to provide culturally sensitive care for an elderly Italian-Canadian population, Villa Charities has extended its mandate to include support for individuals with intellectual disabilities and mental illness. Building on its rich Italian-Canadian heritage, and by living life with Italian passion, the Villa Charities family of organizations has grown to include Villa Colombo Services for Seniors, Columbus Centre, VITA Community Living Services, Mens Sana and Villa Colombo Vaughan Di Poce Centre. Recognizing its relevance across generations, Villa Charities is launching new initiatives to promote quality of life, health and wellness, youth engagement, the creation of new knowledge and investment in new technologies. Of course the successful bidder was Ralph Chiodo founder of Active Green+Ross.